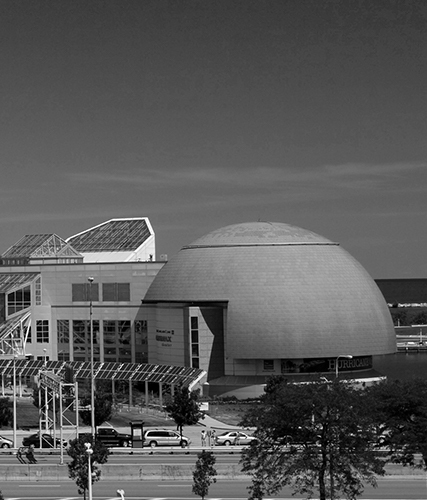 CLEVELAND (Dec. 2, 2015) – Treat your family to a larger than life holiday experience this season with a special presentation of “The Polar Express” on Great Lakes Science Center’s six-story high OMNIMAX Theater screen. Wear your pajamas and enjoy a hot cocoa bar and snacks before the movie during Pajama-rama screenings at 2:45 p.m. on Saturday, Dec. 12 and Saturday, Dec. 19, or visit the Science Center on Christmas Eve for a special movie-only screening at noon on Thursday, Dec. 24! Based on the children’s book of the same name, “The Polar Express” tells the story of a young boy’s magical journey to the North Pole aboard a majestic old train. Along the way, the train and its passengers are tested by a series of obstacles including a broken throttle and a perilous trip across a frozen lake. Start a new tradition with this holiday classic with your family, or see it for the first time on the largest movie screen in Northeast Ohio! Tickets are $16 per person ($12 for Science Center members) for the Pajama-rama screenings and include refreshments. Tickets for the movie-only screening are $11 per adult or $9 per youth (ages 2-12) or $9 per adult member and $7 per youth member. Reserve your ticket today by calling 216-621-2400. These events will sell out! Having two weeks off from school is great if you’re a kid, but not always so convenient if you’re a parent! Just because the kids are home, doesn’t mean you’re on vacation, too. 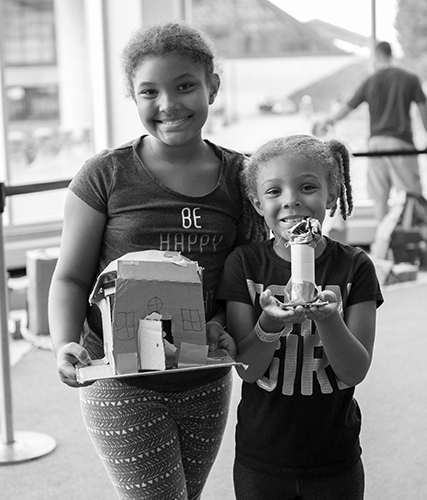 A great opportunity to keep your kids active and engaged over the break, especially for parents who work downtown, is Winter Break Camp at the Science Center! This year, the Science Center is offering seven different camps for kids in kindergarten through eighth grade. Kids can attend for a single day, or the entire series! Camps are divided by age and content is tailored to the different grade levels. School break camps are $55 per day ($50 for members) and run from 8:30 a.m. to 3:30 p.m., with an option for an extended day from 7:30 a.m. to 5:30 p.m. for an additional fee. Camp topics include LEGO: Winter Wonderland on Dec. 21; Lights! Camera! Science! on Dec. 22; Math in Motion on Dec. 23; Wicked Weather on Dec. 28; Hidden Worlds: MicroScience on Dec. 29; Create It! 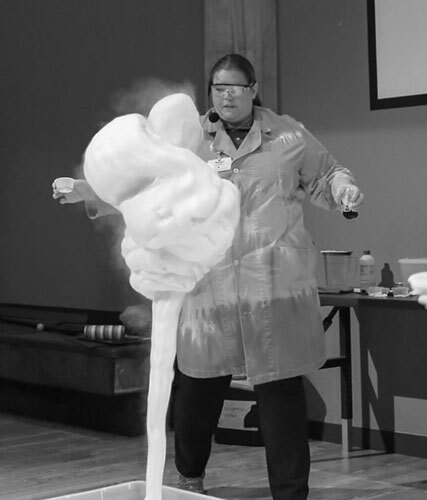 The Science of Art on Dec. 30; and Chemistry in the Kitchen on Dec. 31. More information about camp topics, and registration, are available online at GreatScience.org, or you can register by calling 216-621-2400.